"...it's all fun and games until someone loses an I." 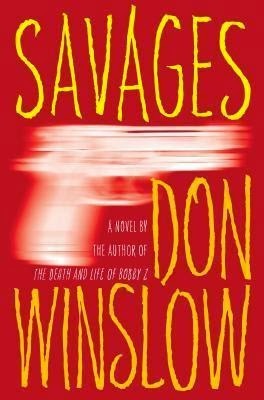 This was my first encounter with Don Winslow and if his other novels are anything like Savages, I plan to devour them all. Winslow's writing style is definitely one that people are going to either love or hate. 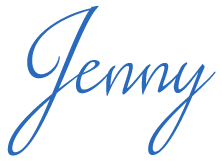 Paragraphs and chapters are often brief and blunt; the first chapter consists of exactly one word. It is a style that has been attempted by many but rarely pulled off, often becoming annoying and distracting. Winslow manages to make it feel organic and I doubt this story would be so great if it had been written in a more traditional format. Ben and Chon are antiheroes to the core. Ben is a complacent super-cannabis creating genius with significant philanthropic impulses that take him all over the world. Chon is an unapologetic ex-SEAL with chronic "PTLOSD: Post-Traumatic Lack Of Stress Disorder" and an unexpected love for language. Chon is the Yang to Ben's Ying, if you will. They balance each other very nicely and in a believable fashion. I was never left wondering "Why are these guys so close?" This balance also explains how O can love them both simultaneously and so thoroughly. Savages contains a lot of slang and jargon specific to the area and activities in the plot (drug cartels, illegal hyperponics, organized crime, etc.). I had a Wikipedia page of common derogatory Spanish terms that I frequently referenced so I could make sure I truly understood what I was reading. I can understand how some readers feel like this gets a little out-of-hand but I feel like it helps more than harms. No, people in suburbia (myself included) don't generally speak this way, but people in other places and situations do. It is important to the setting and helps transport the reader. There are a lot of literary moments in this novel that made me stop and reflect. Moments that are often easy to gloss over and pretend aren't happening. Moments that tempted me to sweep the discomfort under the rug. I liked that. I liked the fact that I was forced to think instead of simply roll through the story. It wasn't anything that forced me to get overly philosophical but just briefly reflect and, inevitably, become more invested in the story. "What ever happened to morality?" Ben sighed. "Same thing that happened to CDs. Replaced by a newer, faster, easier technology." I can thankfully say I was not able to relate to the more deviant and macabre aspects of this story. That didn't matter. I found myself rooting for Ben, Chon, and O. How could I not? Their pasts heavily influenced who they are, just like everyone else. They do the best they can with the cards they are dealt. I wanted to like them despite our differences of opinion and I wanted good things for them. I was even pleased with the ending. It was believable, realistic, and remained true to the essence of the characters. They were never compromised for the reader's sake. They are who they are and that's why I loved them.